Lately I have been craving oatmeal raisin cookies like they were a force of nature. But the idea of nibbling at tempting cookies was not exactly in line with my summer "shape-up" plan. Or so I thought. 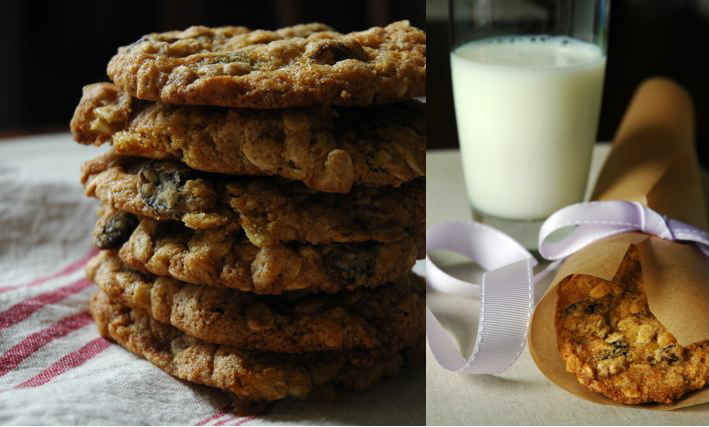 Then I found this recipe by David Lebovitz for all natural, chewy oatmeal raisin cookies. Folks, I may never try another oatmeal raisin cookie recipe again. I'm willing to believe there may be tastier recipes out there. If Trotter put his mind to it and got out a couple sticks of butter, perhaps a more decadent cookie could be made. But I'm pretty convinced that this recipe wins hands down for the combination of healthfulness and delicious cookie goodness. 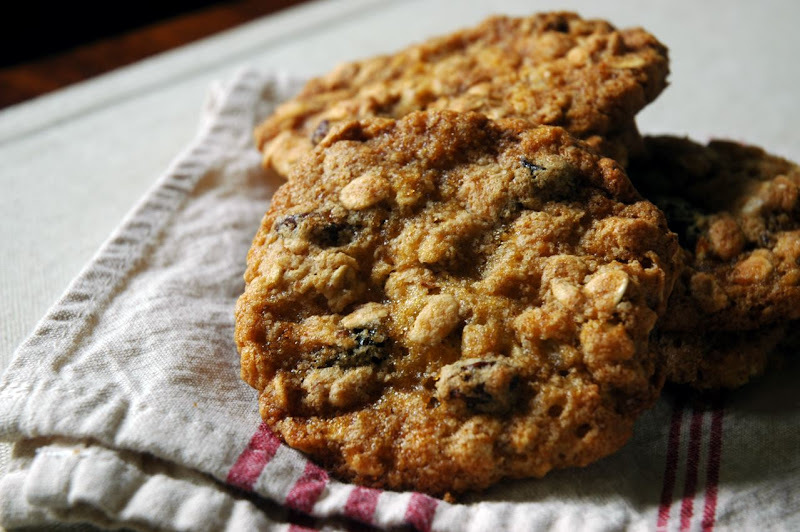 This recipe has 25 percent fewer calories, half the saturated fat and a quarter the regular fats of other oatmeal raisin cookies. All that with a chewy texture and a delicious hint of caramel sweetness that plays off the deep natural taste of raisins and the satisfying chew of heart-healthy oatmeal. In other words, I was smitten. Which is a good thing, because the very next day I found myself in need of just such a cookie recipe. Where I come from, the neighborly way you thank someone for a kind deed is through food. We Wisconsinites commemorate all kinds of kindnesses through the language of casseroles and cookies. Pairing a kind act to its culinary counterpart is a fine art in the Midwest, taken as seriously as wine pairing is elsewhere in the country. So yesterday when my husband and I found ourselves locked out of our Chicago condo, it was already a foregone conclusion that I was going to be baking someone a thank you...the only question was who. We passed an increasingly panicked morning tracking down each of our friends whom we thought we had given keys to, only to discover that in one way or another those keys weren't there anymore. Our last hope was our neighbors who live below us, and they came through for us with flying colors. As soon as we got back inside, having been locked out for about six hours, my husband said, "We have to thank them. Should we give them a bottle of wine?" I scoffed, "Wine? That's what you bring over to some one's house for dinner. It doesn't have the right feel for thanking someone for a neighborly kind deed." My husband isn't from the Midwest, so sometimes he just doesn't get these things. He continued, "Well, what do you give someone then?" And I didn't even hesitate, "Oatmeal Raisin Cookies." I'm a tinkerer by nature. Have been since I was a kid. So this time around I had to literally slap my hand several times as I reached to add in some different ingredient or fuss with the proportions. This was a recipe that subs in applesauce for some of the fat in the cookies, which I would have been hesitant to do myself. But it comes recommended by a pastry chef living in Paris, and that is just a good enough bona fide for me. The recipe comes from Nick Malgieri's book, Perfect Light Desserts : Fabulous Cakes, Cookies, Pies, and More Made with Real Butter, Sugar, Flour, and Eggs (All Under 300 Calories Per Generous Serving) reproduced on David Lebovitz's blog. When I made this recipe, it made 28 good sized-cookies. Libovitz said his made closer to 18, the original says it is for 36. 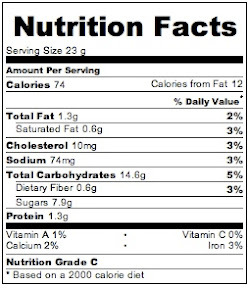 The nutritional information provided below is per cookie, based on 28 cookies. This recipe is a definite keeper. I followed the recipe precisely, except that I couldn't resist adding 1 teaspoon of ground flax seed. My cookies baked up a little thinner than the photo shown on the original site, but they were divine. I found them a great snack or dessert that was both satisfying to the tastebuds and filling thanks to all the healthy oats. I loved them so much that after the first batch was gone, I made it again. This time I gave myself a little leverage to play around. I increased the amount of oats to 1.5 cups of old fashioned oats, and added 2 Tbsp wheat bran and 1/2 Tbsp ground flax. I wanted a little more heartiness and fiber. The original recipe contains no spices, so this time around I experimented by adding two sprinkles cinnamon, 1 pinch cloves and 1 sprinkle cardamom. The cookies from this batch taste less "caramelly" than before, which is perhaps because I increased the grains. If I made them a third time I might include some of the additional grains but omit the spices. I would also like to try increasing the raisins a little more. This is EXACTLY what I've been looking for. I've been tinkering with using applesauce or yogurt or other types of substitutes to make healthier muffins. And, I've really been dying for a cookie. I'm definitely going to give this a shot. And, you have lucky neighbors! Those oatmeal and raisin cookies look really good! These look amazing! I found your blog because I was looking for something sweet that wouldn't destroy my pre-wedding healthy eating attempts. Thanks so much for sharing! Grace-The nutritional content is really amazing. Plus they are good sized cookies, not crazy little minis. One cookie is a solid and satisfying snack that is better for you than any of the commercial granola bars. awesome! panda-Glad to help you in your search for healthy and tasty. I love that these achieve health through a natural sub (applesauce) rather than any frankenfood stuff like splenda. I know some people swear by it, but color me suspicious. Ashley-Welcome to the blog. Come back often. Heck, feel free to tell your friends :). Glad to help you stick to the wedding plan, but I think you'll find these cookies are tasty enough to keep in your kitchen rotation even after the wedding diet is a thing of the past. I'm instantly inspired! I've got oats, raisins and a friend that doesn't like chocolate. These are perfect. Literally waiting for my butter to soften up. Julie-Glad to hear you are giving them a go. I hope they turn out well for you! Hope you don't mind. I "borrowed" one of your photos and created a link to this entry from my blog. I just discovered your blog and love what you do and wanted to share with my friends. Can't wait to make these. Cindra: I hope you enjoy the cookies. So long as your post makes the authorship of the recipe and the photo clear, I have no problem with you borrowing photos that are appropriately attributed. Thats part of the joys of the internet, that you can spread the stuff you find and enjoy around! Very nice cookies but they were more soft and chewy than my liking (thats why i think my grandmother will love them coz of her teeth :)) , i always expect my cookies to be firm and crunchy, maybe ill just leave them in the oven a little longer next time till they dry out a bit, but otherwise very good recipe, thx for sharing. Anonymous: I can understand loving crunchy cookies. There are many cookies that I like crunchy as well, and in honor of this fundamental difference in preferences, I tried to title these cookies "chewy oatmeal raisin" to indicate their texture. The texture in this recipe is owed not only to the time in the oven, but the composition of the ingredients. If you truly love very crunchy cookies, I think you would be better served looking up an alternative recipe (probably one with more butter). I am not sure that a longer cooking time will produce the results you hope for. Very nice, these are among the healthiest cookie recipes I've seen. Still too much sugar per cookie for me. These were delicious! Thanks for sharing this recipe. Just like you said, I'll NEVER use another oatmeal raisin cookie recipe! these cookies look so great! and the nutrition on them makes them even better, my first batch is in the oven and i cant wait to try them out! These were fabulous! When I tasted the batter, I thought they might be a bit too sweet, but after baking they are great. Once cooled, they're super-chewy and good. I added walnuts, too, which I love. @ all: glad to hear you are as enthusiastic for this recipe as I am. @Anonymous: Sorry you didn't like the recipe. As for the sweetness, I personally do not find them too sweet, but I would also caution that your addition of cinnamon may be partially to blame. Cinnamon often boosts the experience of sweetness in a recipe, so when I add cinnamon to a recipe I often reduce the sugar called for. I would not have said they have a particularly cakey texture, though they certainly do have a bit of a porous crumb, so perhaps that was something you didn't enjoy. For my kitchen, I find them a fantastic cookie with a nutritional content I can get behind, but I am wiling to accept they may not be for everyone. If you find a recipe you like better that is reasonably healthy (for a cookie), please let me know! I am always looking for good recipes.. I absolutely loved these cookies! I just made them today, they are SURPRISINGLY tasty for the healthy ingredients and low butter content. They were easy to make in my stand mixer! No one noticed they were healthier than usual. My only advice is use 3 baking sheets. I used 2 with parchment, the parchment was excellent but the cookies spread more than I thought and joined together. EXCELLENT, thank you!! I'm eating one of these even as I type and trying desperately to leave some for tomorrow. They are really very good! I printed out 2 healthy oatmeal-raisin recipes, yours and a Martha Stewart one. The other one was possibly the worst batch of cookies I've made in recent memory. And this is one of the best! There is something extremely satisfying about the consistency of these, they have just the right "give," and it's nice that the applesauce and butter are balanced. well I don't know why I'm showing up as anonymous! I"m not the other anonymous! @Katie: Because this recipe is published online by its original creator (David) I only link to the recipe and then write my review of it. 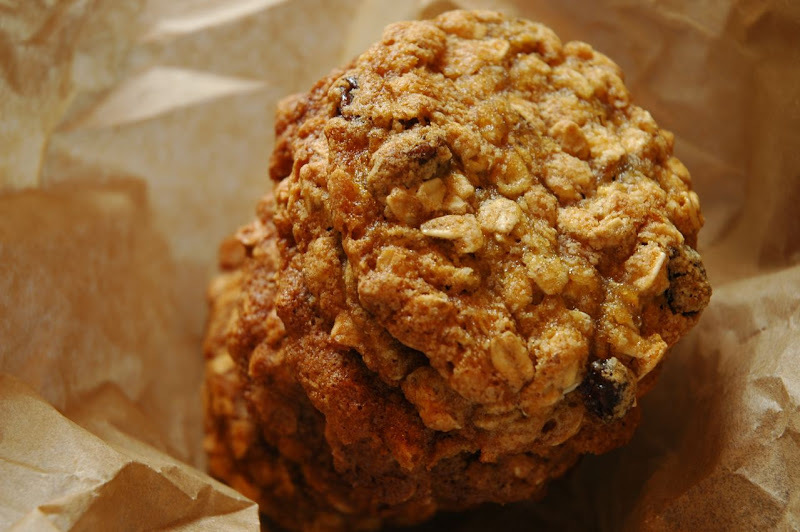 You can find David's original recipe under the link at the top "This Recipe"
Was looking for a healthy oatmeal cookie and I believe I've come to the right place :) Thank you so much for posting this. Can't wait!!! I made these the other day to curb my sweet tooth, but try to keep on track of loosing some holiday pounds... and these are PERFECT! My boyfriend (who loves cookies) said they were even better than his great-grandmothers. I'm very very impressed!!! Thank you for sharing. Hi. Just wondered if you or anyone else has tried whole wheat (or some kind of whole grain) flour with this. Maybe whole grain pastry flour..not sure. I'm kind of a newbie at this. Can you substitute honey for the 1/2 cup of granulated sugar? Also will this add honey flavor to the cookies? thanks in advance. 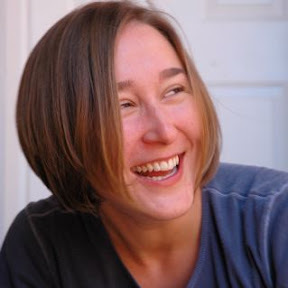 @Danielle: As a general rule of thumb, you can usually substitute whole wheat flour for up to half of the flour in a recipe. I have done that with these cookies and they still turn out pretty tasty, so if it is important to you to squeeze in some more whole wheat, it should work fine. I would use regular whole wheat flour, not whole wheat pastry flour. @Mario: I havent tried a honey sub in this particular recipe, but as a general rule of thumb when using honey in place of sugar you need to reduce the other liquids in a recipe. Unlike a cake recipe, this recipe doesnt have many other places to reduce liquids, so I suspect if you used honey you would wind up with flatter, less airy cookies. That trade off may be worth it to you if you are dedicated to eliminating cane sugar. If you try it, please report back to let us know how it turned out! @Anonymous: I'm glad you liked the flavor but sorry you had difficulty with the texture. You mention that they were too flat and the edges browned too quickly. As you can see from my photos, that is not an inevitable result of the recipe. One thing you can try is briefly refrigerating the dough before baking, which can combat some spread. The overly-browned edges are likely from a combination of the spreading problem and the way heat was distributed in your oven. As you aren't likely to get a new oven, I'd encourage you to experiment with different kinds of cookie sheets to see which give you the best results in your oven. I use stoneware cookie sheets, which in my experience almost always do better with even distribution of heat than metal ones. I have a daughter who is always looking for a healthy type of cookie that doesn't have any form of nuts, flax other grains due to her food allergies. She can eat oatmeal (thankfully), so I was excited by this recipe as it doesn't use much butter, any oil and relatively little sugar (can substitute with Stevia). I made this recipe today straight from the original recipe (Nick Malgieri's) and like Erin suggested added 1/2 c. addt'l oatmeal. I also added 1/2 c. coconut, 1/2 c. cranberries, 1/2 c. high end chocolate. I didn't have applesauce (and wasn't going to whip any up) so I substituted a minced soft apple, and 2 bananas that were very ripe and initially frozen. Once defrosted, they provide quite a bit of moisture. They cookies are fabulous and i can't wait until my daughter gets home from Volleyball practice to try them. I rolled the cookies out in 2" balls with 6 on each sheet for 12 min. Thanks for this wonderful recipe! It is a favorite in our book of favorites from this point on! 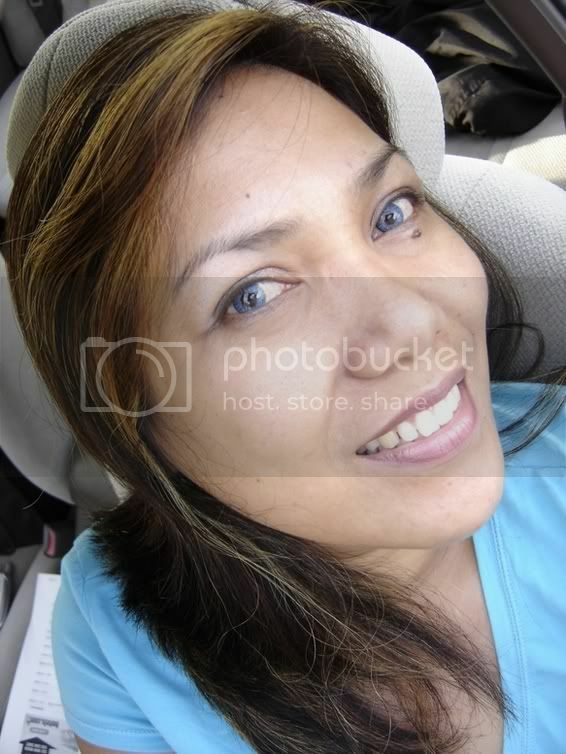 Shelly G.